New Jersey’s largest transit hub office complex is now under ownership by a single joint venture, which has plans for a significant repositioning of the Gateway Retail Concourse. 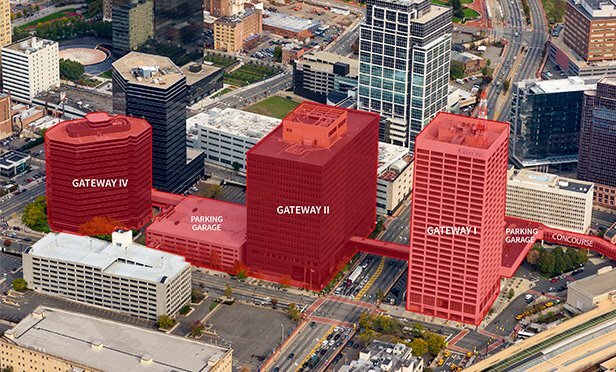 NEWARK, NJ—A joint venture among Garrison Investment Group, Axonic Capital, Taconic Capital Advisors and Onyx Equities has acquired One, Two and Four Gateway Center in Newark, NJ. Prudential Financial, which has kept its global headquarters in Newark since its founding more than 140 years ago, will participate as a co-investment partner. The 1.6 million square-foot transaction represents New Jersey’s largest office deal of 2018, and brings back together under a single owner one of the state’s busiest office complexes.